June 30, 2017 – Not all galaxies have the luxury of possessing a simple moniker or quirky nickname. 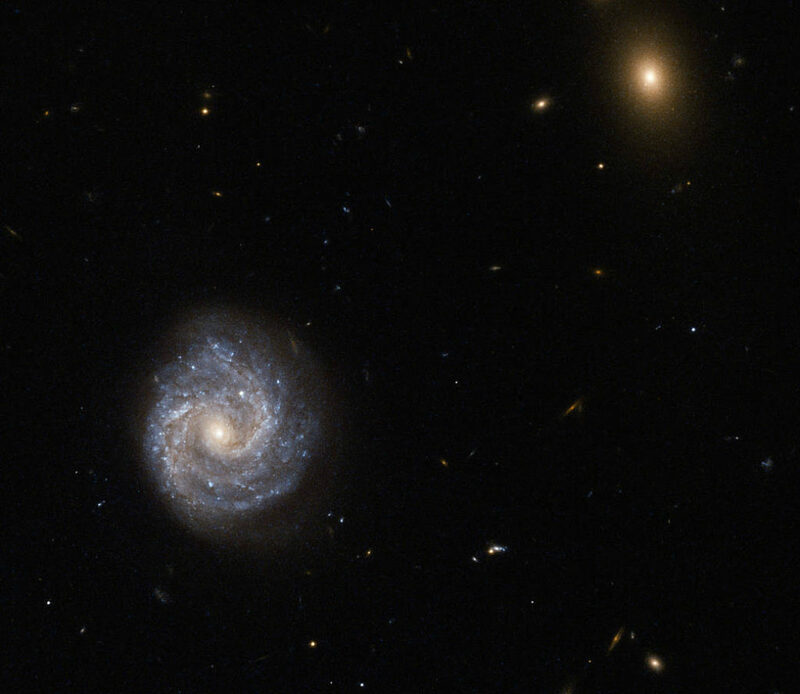 This impressive galaxy imaged by the NASA/ESA Hubble Space Telescope is one of the unlucky ones, and goes by a name that looks more like a password for a computer: 2XMM J143450.5+033843. Such a name may seem like a random jumble of numbers and letters, but like all galactic epithets it has a distinct meaning. This galaxy, for example, was detected and observed as part of the second X-ray sky survey performed by ESA’s XMM-Newton Observatory. Its celestial coordinates form the rest of the bulky name, following the “J”: a right ascension value of 14h (hours) 34m (minutes) 50.5s (seconds). This can be likened to terrestrial longitude. It also has a declination of +03d (degrees) 38m (minutes) 43s (seconds). Declination can be likened to terrestrial latitude. The other fuzzy object in the frame was named in the same way — it is a bright galaxy named 2XMM J143448.3+033749.